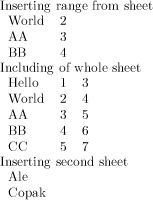 Then the table in my LaTeX-document changes when the corresponding spreadsheet changes. Would be nice to have also the possibility to modify global appearence properties of the table as optional arguments of \includespread. Before I post it on CTAN, any comments on style/grammar/spell in the documentation files, as well comments on the source code, are highly welcome. There is solution using luatex's zip library and pure lua xml processing library LuaXML, which you should install to same directory as odsfile.lua. With LuaXML, we can convert xml into lua tables, which can be then easily processed using standard lua techniques. Function odsfile.load(filename) returns odsfile object, with loadContent() method, which returns lua table representing content.xml file. We can select sheet from spreadsheet with odsfile.getTable(xmlobject,sheet_name). If we omit sheet_name, first sheet from spreadsheet is selected. Data from sheet can be read with odsfile.tableValues(sheet, x1, y1, x2, y2). x1 - y2 are range to be selected, they can be null, in which case whole rows and cells are selected. For converting of standard range expressions of form a1:b2 to this representation, function odsfile.getRange(range) can be used. In this version, you have to specify table columns manually, but it shouldn't be difficult to analyse for example contents of first row and generate column specification from this. You can probably do this by passing out a pipe of commands via \write18 to unzip the document.xml to stdin and into lxprintf (part of the LTxml suite from http://www.ltg.ed.ac.uk/software/ltxml/ which lets you extract content from XML) and then munge the result via awk or whatever. Or just use Perl/Tcl/Python. Not the answer you're looking for? 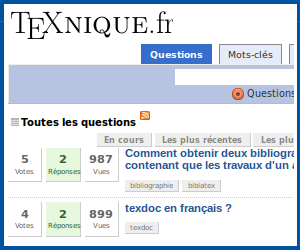 Browse other questions tagged tables luatex input open-office or ask your own question. How to convert .ods to latex? How to style a table without messing up tables source code?